New Year’s Eve Live music! 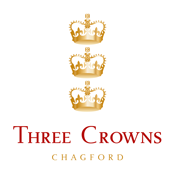 Come and see in the New Year with us here at the Three Crowns. There will be live music in the bar from the very talented Luke Hingley in his Luke Does Bublé – Michael Bublé Tribute Act from 10.30pm. The perfect way to start the New Year in style!